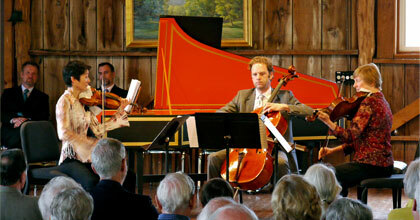 Most visitors are pleasantly surprised when they see what the County of Bath offers for music and art enthusiasts. Whether you are looking for specially designed furniture, exotic yarns, pottery, sculptures or just want to gaze in a gallery, we can provide it. Many of the County of Bath’s local artists have their work up for display, and there are even various antique pieces we have acquired from Southwest Virginia. What was once an old, brick school house, Ashwood School Antiques is now a retail antique store and museum that displays coins, marbles, books, etc. 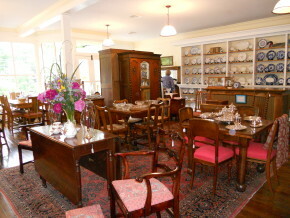 and sells furniture, vintage textiles, farm tables, antique books and glass. 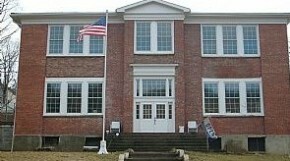 In addition to antiques, visitors can see restored pieces that were found in the original elementary school such as sliding chalkboards, old library bookshelves and even a grand piano. Come out to Ashwood School Antiques and be amazed at how fun antiques can be! Ashwood Station is a shop filled with antiques, locally-made items and gifts. The old Ashwood Service Station was a landmark in the Ashwood/Healing Springs area since the early 1900’s. We have rebuilt a structure that closely resembles the original (we even have vintage gas pumps on display – no gas for sale, though!) and hope that it, too, will become a local landmark. 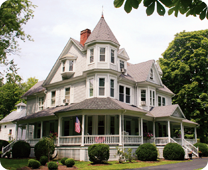 We offer antiques from our area as well as neighboring states, ranging from furniture to pottery and glassware, vintage jewelry and books to folk art. We currently have many handmade items from local artisans (jewelry, baskets, painted gourds, felted wool items, furniture, primitive signs, needlework, painted quilt ornaments, and paintings). We also carry a line of locally-roasted coffee and spice blends. 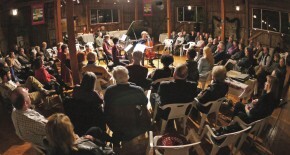 Home of the Garth Newel Piano Quartet, the Music Center annually hosts more than sixty classical chamber music concerts, and performances by blues, jazz, bluegrass and other artists throughout the year. 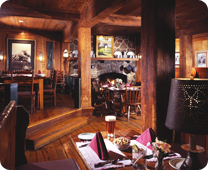 There’s no experience quite like an evening (or an afternoon, or a weekend) at Garth Newel Music Center, where expertly performed concerts, fine dining, a convivial atmosphere, and the pleasures of Southern hospitality are woven together seamlessly. As concertgoers arrive at the Music Center via a winding, tree-lined drive, the stresses of the workday world slip away. The scenic beauty of our grounds and the unimpeded and unmatched views of Dunn’s Gap are unveiled, setting the state for the concert and dinner ahead. Patrons are greeted on the Herter Hall plaza by the welcoming sounds of laughter and passionate conversation. Pre-concert cocktails are sampled as the audience members get acquainted. Strolling the landscaped grounds, sharing a story and enjoying the company of friends, new-found and long-standing, are all part and parcel of the pre-concert experience. The concert bell rings, seats are taken and the musicians enter from the wings: Whether it’s music drawn from the most elegant and historic eras of the classical music canon like Brahms and Schumann, Beethoven and Chopin, or contemporary classical works commissioned especially for performances, or the works of Jazz masters or Bluegrass giants performed by acclaimed touring artists, the goal is universal: Excellence! Our concerts are casual, conversational and (sometimes) challenging. We invite audience members to “dig deep,” to participate in pre-concert icebreaker conversations with our musicians and guest artists, and to share their passions and expertise. Concert concluded, spring, summer and fall patrons are invited to the Herter Hall plaza for a pre-dinner aperitifs and hors d’oeuvres as the staff transforms the concert hall into our rustically-elegant dining room. (Wintertime patrons are encouraged to relax by one of our two fireplaces inside Herter Hall during the change-over.) Reset complete, dinner-going guests are invited to take their seats and break bread. Prepared by Executive Chef Elliott, Garth Newel’s multi-course dinners are, like our musical offerings, inventive and presented with attention to the finest of details. Dinners are served at tables of eight, and patrons often find themselves sharing their meal with musicians, Music Center board members and other new-found friends. When not otherwise engaged with concerts or educational programs, the Music Center facilities are available to rent for weddings and parties, corporate functions, meetings and social events. 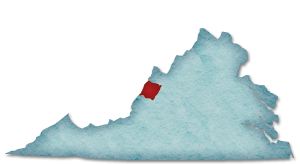 Our 114-acre home is nestled on the west side of Warm Springs Mountain in idyllic Bath County, a scenic three hour drive from the Richmond and Washington DC metropolitan areas and less than two hours from Roanoke, Charlottesville, Harrisonburg and surrounding communities. We invite you to join us. Oftentimes, an Artisan has worked in other fields before finding their heart in the passionate pursuit of their craft. Such is the story of Mary Barnes. 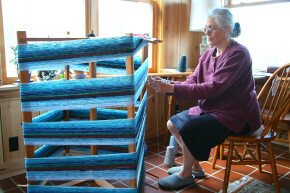 Mary is a Weaver. 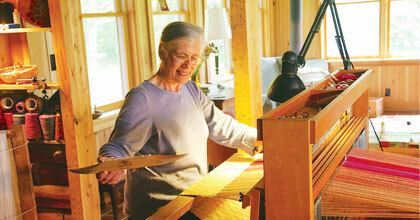 Her Weaving Arts Studio is located in the tiny village of Millboro in the eastern most portion of the county. Mary was a school teacher. When she retired early she set out to find yet another “professional” job. While studying at the Pendle Hill Quaker Center in Wallingford, Pennsylvania, she found herself embracing her artistic side. She had been an accomplished seamstress and dabbled in embroidery, knitting, needlepoint, quilting, upholstering, making slip covers and caning chairs- and now her heart told her to weave. And weave she does, working with unique fibers to create a variety of clothing items like ruanas, shawls, vests, kimonos, mobiuses, cocoons and more – no two creations exactly alike. Founded by artisans Alix and Bryan McGraw who through their passion for gemstones and magnificent eye for detail, have crafted astoundingly unique, one-of-a-kind jewelry pieces. 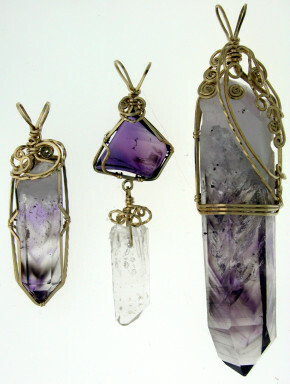 Alix and Bryan use silver, gold, and special wire-wrapping techniques to create exquisite custom pieces such as necklaces, bracelets, earrings, rings and pendants as well as other special creations. Nimrod Hall is not exactly an Inn or a hotel and it is not quite a summer camp. In fact, it is not really like “anything” that is easy to define. The best way to describe Nimrod Hall is that for the first six weeks of the summer Nimrod Hall is home to visual artists where it becomes kind of an artist colony meets summer camp. All meals (home cooked) are provided during a guests stay. The decor is rustic in a painted clapboard, shabby chic sort of way. Looking very similar to the way it did in 1914, there is no air conditioning; no TV and you share bathrooms. The focus of each day is “the present” and what is happening that very minute – not yesterday, not tomorrow. We even have a name for it – the “Nimrod Bubble” – because you cease to know the news, care about world events or worry very much about anything at all. In fact, the biggest fear any guest must face is the fear of a late afternoon thundershower! 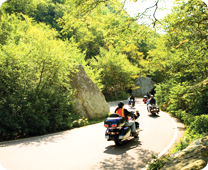 Guests of Nimrod Hall also enjoy the splendors of nature the camp provides. There is a pond for swimming and fishing, fed by two natural springs. It is cold and refreshing even on the hottest Virginia days. For those who prefer to swim in warmer temperatures, the Cowpasture River is at the bottom of the hill and is the cleanest, clearest river yo could hope to enjoy. Tube trips down the river are a daily activity and swimming and hiking are just as accepted as sitting and doing nothing at all. Nimrod Hall is the epitome of acceptance of your personal choice between being active or simply relaxing. 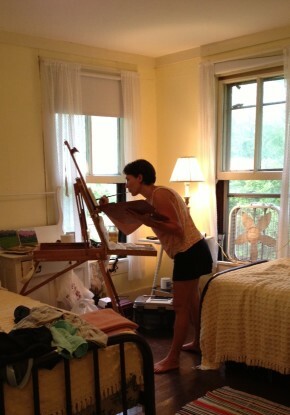 In addition to our artists’ weekends, the property welcomes guests from Mid-July thru August. While many cottages at Nimrod have been rented by the same families year after year (some families having been coming for over 45 years), cottage rentals do become available. Nimrod Hall offers the rare chance to escape to a different time in Virginia history, where the beauty is found in the fact that is so very genuinely historic. Owners Jay and Claudia Trinca have lovingly renovated and restored the former Webb’s General Store building, transforming the space into Springhouse Antiques featuring early 19th century furniture, wood primitives, early stone ware and exquisite antique china, silver and glassware. Some elements of this historic original building, built in 1901, were salved and refinished such as the floorboards and original candy case (now used for displaying antiques). In addition to antiques, we have handmade candles, soap, woven throws, pillow table squares made in the USA, as well as place mats, and our own line of folk art items and furniture made by owners Jay and Claudia Trinca. 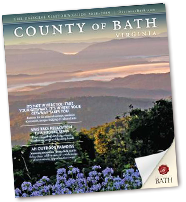 Visit us and find that perfect gift or souvenir of your trip to Bath County. 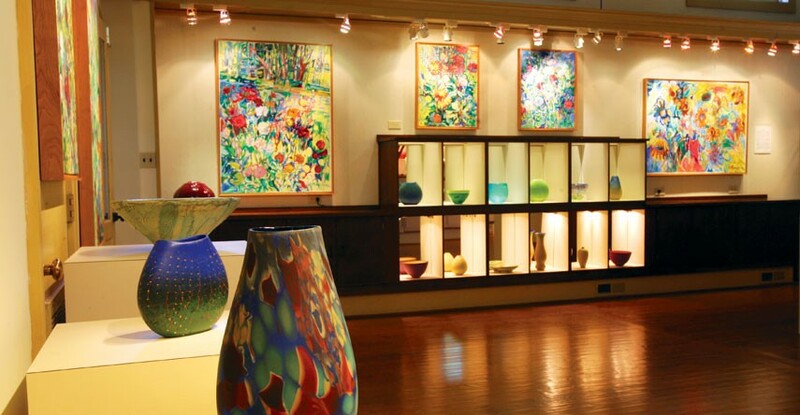 The Gallery at Seven Oaks offers one-of-a-kind selection of art and artisan creations including elegant rustic furniture, wood turnings, pottery, jewelry, sculpture, encaustic paintings, and Tibetan rugs. 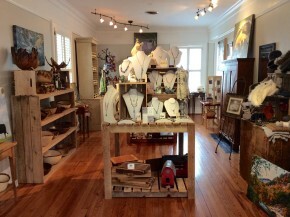 The Gallery’s mission is to access and feature the unique and handmade to complement your life and home. 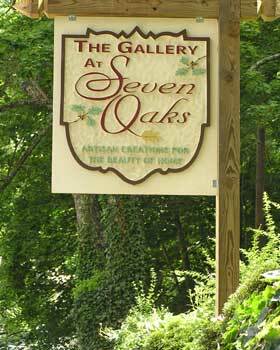 Be sure to stop by and discover the wonder that is The Gallery at Seven Oaks. 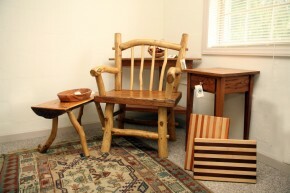 Located in Cottage Row at The Omni Homestead Resort, The Sparrow’s Nest features a wide variety of unique handcrafted items from local artisans and farms. The shop specializes in handcrafted jewelry, solid wood furniture, turned wooden bowls, original artwork, pottery, knit items, handmade soaps, greeting cards, soy candles and melts, lavender products, alpaca fiber products, primitive designs and so much more! Artisan food products from local farms include peanut brittle, beef jerky, rosemary pepper almonds, salsas, relishes, pickles, pepper jellies, and fruit jellies and jams. 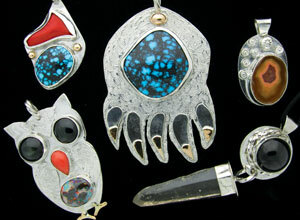 While in the shop, owner, Heather DeBoe, creates original jewelry pieces. Stop by to see demonstrations or design your own unique piece. 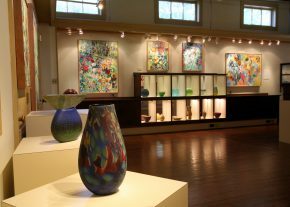 Since 1995, the Warm Springs Gallery has been offering its visitors an exciting and inspired collection of contemporary paintings and fine crafts. Each year, we search for work that meets the gallery’s high standards of taste, craftsmanship, and originality, and each year visitors to Warm Springs Gallery are treated to a rich collection of fresh new work and familiar favorites. The gallery exhibits diverse roster of established and emerging artists from around the country. We represent more than twenty painters, whose styles span the spectrum from realism to abstraction, through landscape and still lifes, specializing in Virginia landscape paintings. The gallery also exhibits fine crafts, integrating exquisite sculptured objects in glass, wood, clay, fiber, and bronze alongside two-dimensional works. Shifflett specializes in all manner of custom furniture building and design. Whether you are in the market for a shaker table, an 18th century desk or contemporary table, Warm Springs Mountain Woodworks can design and craft the piece. Please call for an appointment.